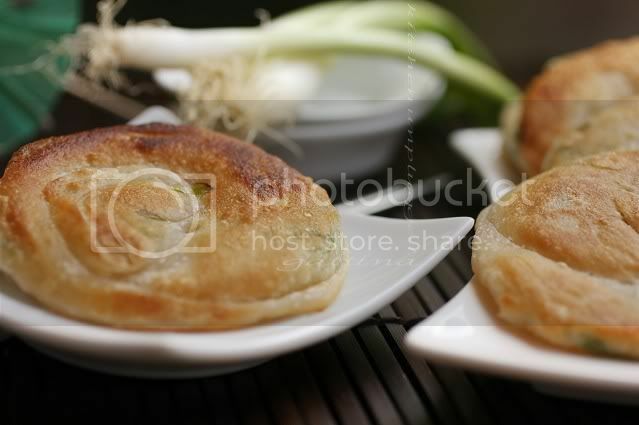 If the scallion bread is really from Shanghai, or what the one in Shanghai looks like, sorry I can't tell. 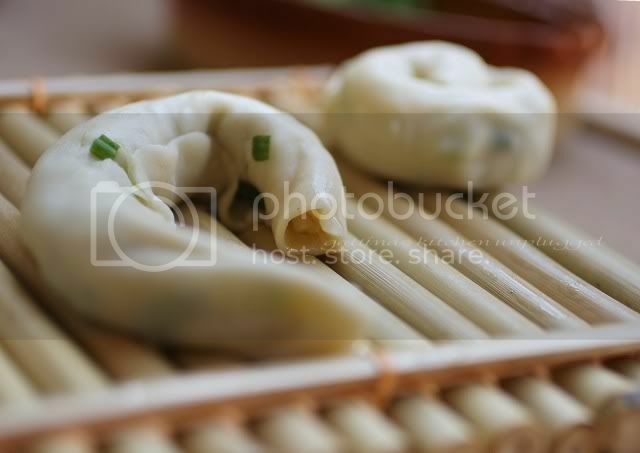 But it is what Hongkong people like to call, and this is how the vendors like to make: a bit flaky, quite chewy, very aromatic and so highly addictive! So a few years ago I decided to make my own... started from searching the recipes on internet, testing a few, improvised a bit here or there (no need for too much as the ingredients are so simple!). Since I have been making it many times, I can just estimate the amount. So when you make it based on my recipe, please do count on your eye-n-hand judgment as well. 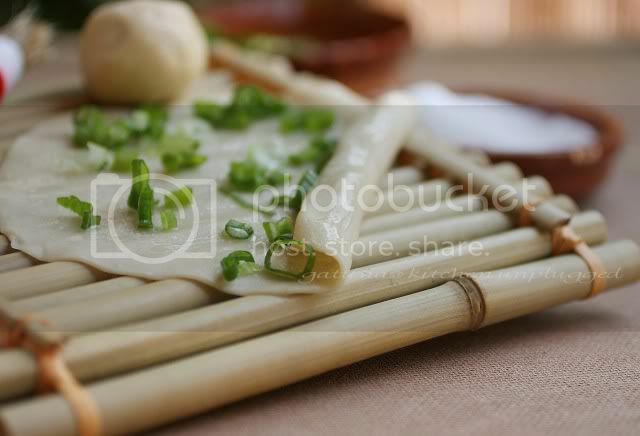 Finely chop the scallion, I use the whole including the white part (but not the root though), but try to chop the white even finer as its taste is more pungent than the green part. Set aside. Well combine the flour, 1/4 tsp salt and baking powder in a mixing bowl, set aside. Boil the water, add in oil. Then pour most of the hot liquid into the flour mixture, stir very quickly and see how the texture goes, then pour the rest of hot liquid. The dough should be slightly sticky (it will dry up a bit when you work on it later), knead it a few minutes or until it looks smooth. Place dough in a bowl, pre-greased, cover and rest for an hour. Evenly divide the dough into 12 or 13 portions. Remember to cover those doughs that you are not working on. Roll one ball of dough to a flat circle with a thickness of 0.2 or 0.3 cm thick. 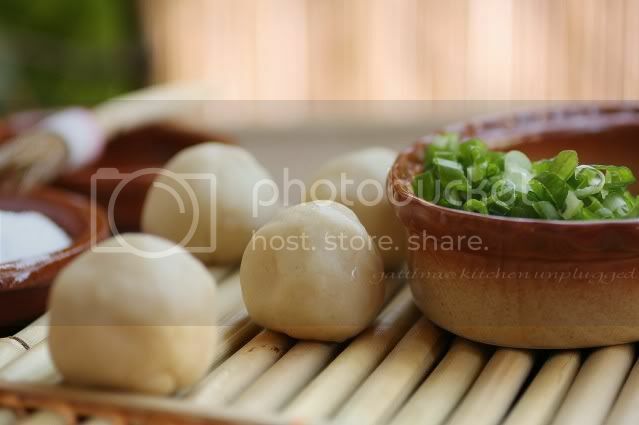 The dough is soft and tender, but shouldn't be sticky enough to require adding flour on work table. Brush some oil, sprinkle a good pinch of sea salt and scallion. 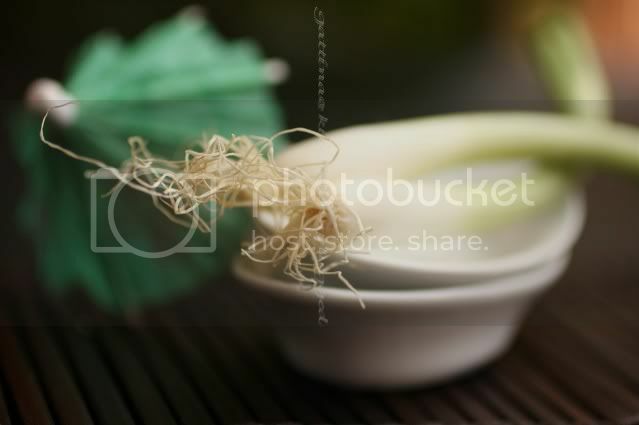 Check how much scallion I put on, it can go a little more, but not less. Gently press down the coil with your palm. Then roll it flatter to the thickness close to 1 cm. Pre-heat a 9cm skillet, drizzle one teaspoon oil, place 3 slices of bread, cook for 3 or 4 minutes over medium heat. Then cook the other side for another 3 minutes. I can imagine the delicous falvours in the bread. I totally agree here too they are expensive, . yes they are expensive...I am looking forward to the good foods of france...nice to see your blog flourishing with good foods and wonderful photography! That looks like an amazing onion croissent! Those look really tasty - I like scallions! They're often out of them at the grocery store I go to, I guess they're popular. I love this snack! The crust looks really crispy! Your flatbreads look fantastic! A delicious speciality! You know how happy for a kid when the mom hands him/her a big lollipop? I saw the same happy face on my husband when I put down a plate of scallion bread. Those look amazing. I've no doubt they are addictive! I've only made scallion bread one time, and it was delicious. The trick is in the forming -- rolling and coiling and flattening. Thanks for reminding me how delicious homemade scallion bread can be. You know I have never had them homemade, I had no idea they were that simple to make! I'd say these are much better than a lollipop, worthy of big smiles. Looks tasty: I have to try (never eat that)... the recipe is simple! MMMMM...Gattina! They look georgously tasty! Yummie !!! What lovely appetizers!!! Yum! amazing photos. I'm in awe. Thanks for sharing the recipe. I've always been intrigued about how to make scallion flat bread. Oh I miss this! They are beautiful! I am drooling. I should try to make it too some time. I'll have these over a lollipop anytime and I bet my kids will too! Lovely bread,bookmarked! guess what I made them a HIT... thanks. That looks delicious! 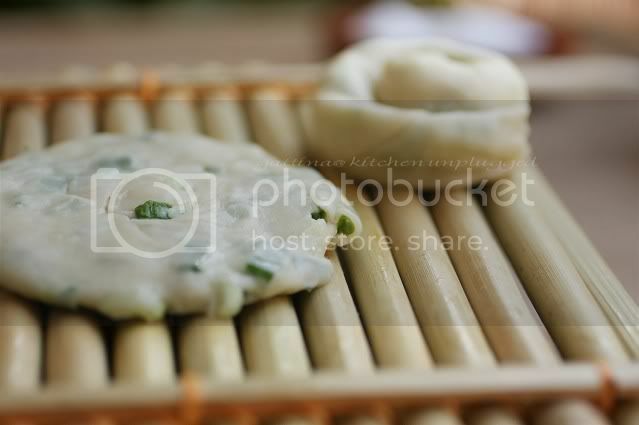 I have never tried scallion bread before but I can tell that I would love it! Yummy!! I would like to try some, look delicious! 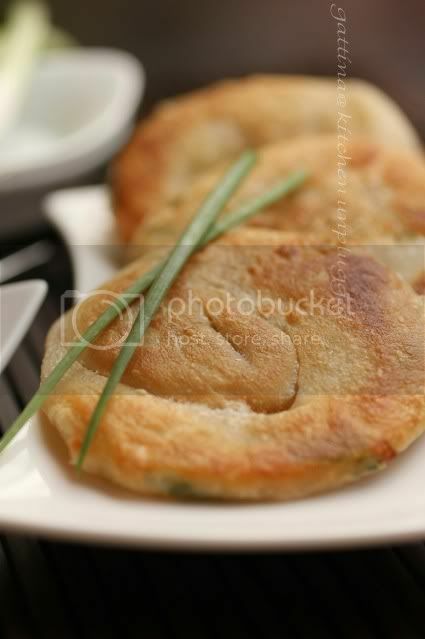 These scallion flat breads look really good! Not only does this look really yummy but since cooking it the first time I have now added it to my restaurant recipe!!! Thanks!!! I've been hanging onto a link to this post for over a year, now. Perhaps this weekend I'll get around to making some! Gattina, I tried your recipe today for the first time. I didn't have scallions, so I used garlic chives and chives from my garden. It was delicious! Thanks for the recipe.